A delicious and complete meal in a shake! Fast, healthy and 100% natural ingredients. Perfect when you need a grab 'n' go lunch or dinner. Do you need a Shaker? * Choose an optionYes, I’d like a Red Shaker (+£7.99)Yes, I’d like all 3 Shakers (Black, Pink & Red) (+£18.99)Yes, I'd like a Black Shaker (+£7.99)Yes, I'd like 2 Shakers (Black and Pink) (+£14.99)Yes, I'd like a Pink Shaker (+£7.99)No thanks, I already have a Nutribuddy Shaker! FREE Shaker Bottle with every order of our 56 day Shake Complete! Shake Complete contains a great range of macro and micro nutrients as well as a great amino acid profile. 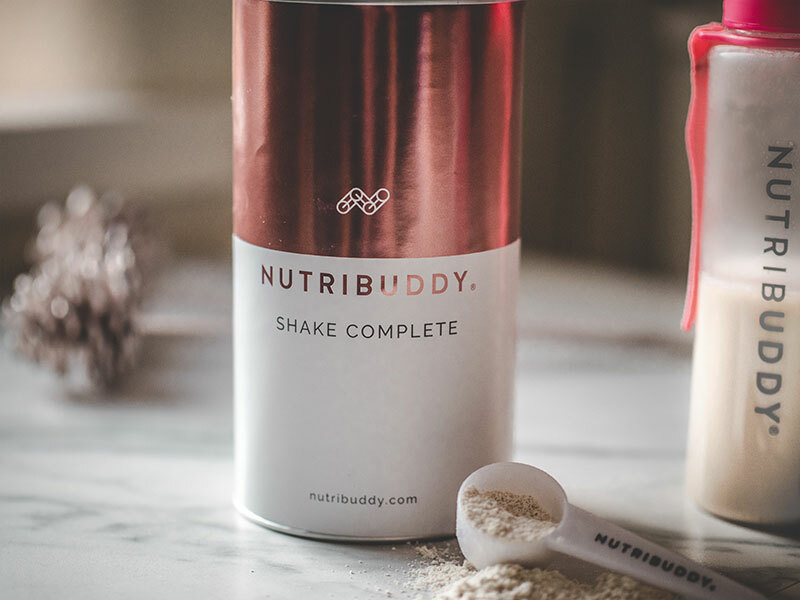 Mixup your delicious Shake Complete in under 20 seconds in your Nutribuddy Shaker. Made with 100% vegan ingredients to have minimal impact on the environment. Many organic ingredients = a clean formula. All oats are certified gluten-free. You won't find any artificial multivitamin & mineral blend here! All nutrients are delivered as nature intended from the organic whole foods in Shake Complete. Super clean formulas with many organic ingredients are better for your body and the environment. Filled with low-GI, slow-release carbs to keep you feeling full and energised. Re-use is the best form of recycling - you can use the packaging for many things such as a pen holder before finally recycling it. Shake complete has been developed with nutritionalists to deliver the key things your body needs to thrive. Click a flavour below and scroll down to see the nutritional labels. Shake complete is packed full of natural and healthy organic whole foods. We’ve ground these down to allow them to be mixed up into a quick and healthy shake for nutrition on the go. Pop 4 scoops of Shake Complete in your Nutribuddy shaker. Add 400ml of milk or a milk substitute (this could be almond milk, soya milk, coconut milk or another) and shake away. That's it! You can mix with water but a type of milk or vegan milk will taste best. The more you shake, the smoother the results. Some customers like to mix in their blender and even add fruit or seeds to make a yummy, nutritious smoothie. Meet Kelly, our fun-loving Nutritionalist! Kelly is an Educational nutritionist, registered with The Association for Nutrition in the UK, Co-developer of ‘Nourish you’ plant based weight loss programme, and owner of PassionateNutrition with a passion for plant based nutrition, and evidenced based health research. 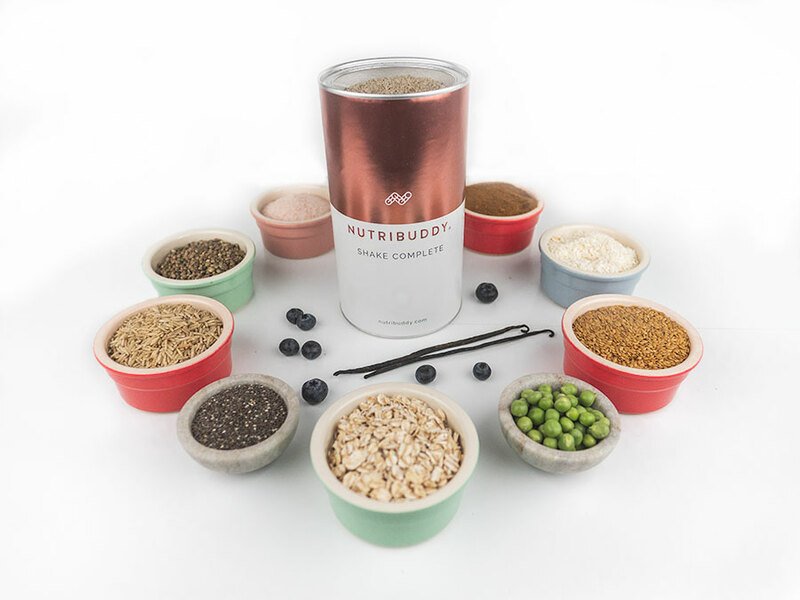 Kelly is working with Nutribuddy to ensure all our products have great nutritional values and are genuinely good for you! You can read more about Kelly Rose here. Maximise your savings by buying Shake Complete as part of one of these great value kits.